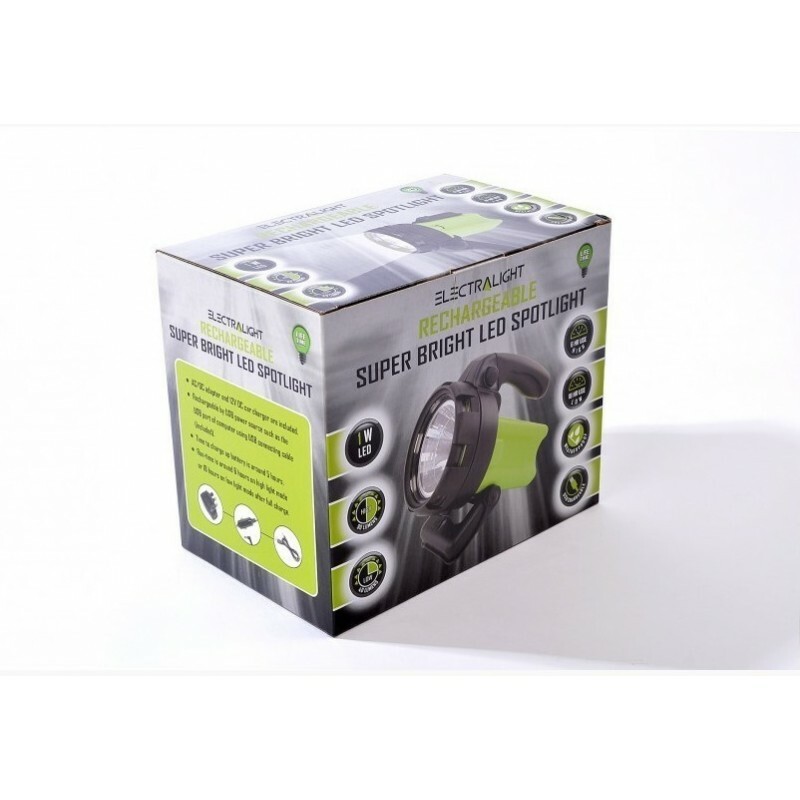 The Electralight Rechargeable Super Bright LED Spotlight features a super bright 1 Watt LED spotlight providing 90 lumen brightness on the high setting and 40 lumen brightness on the low setting. 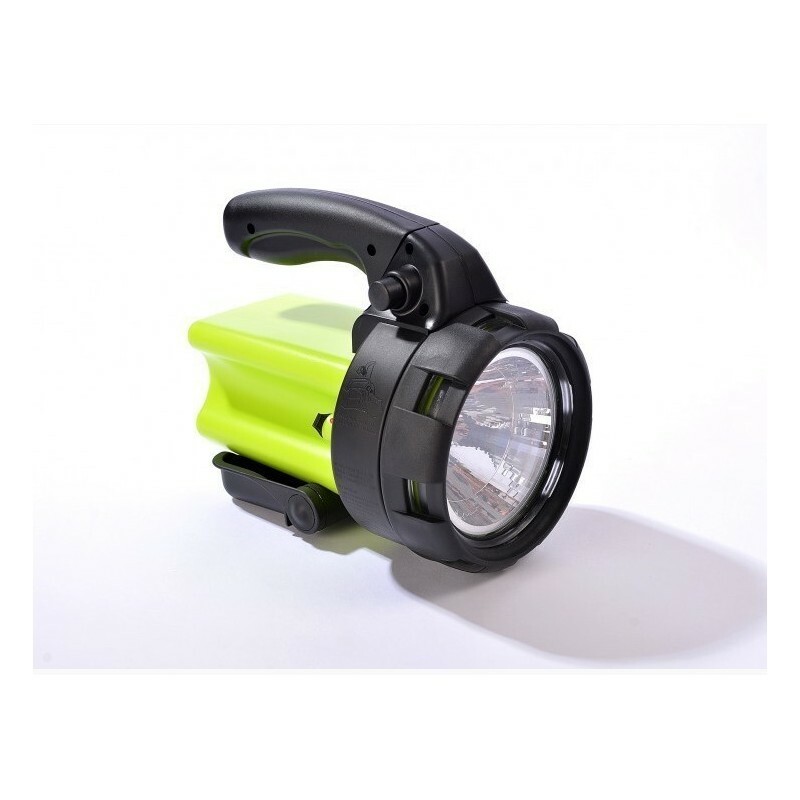 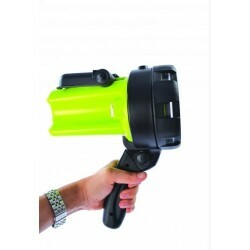 Features an adjustable handle for spotlight or torch use. 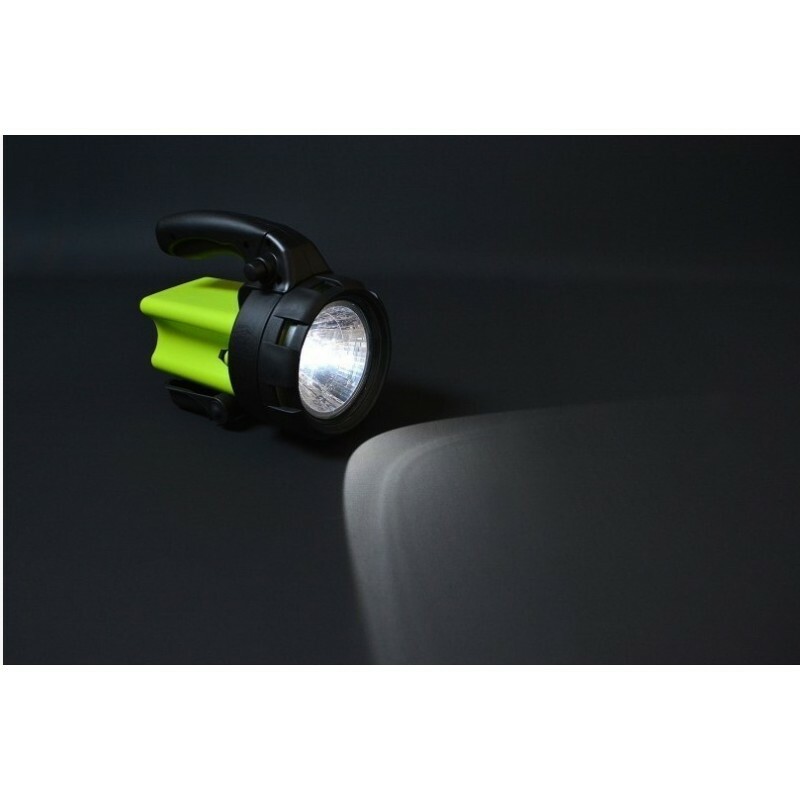 Weatherproof construction makes it ideal for outdoor use. 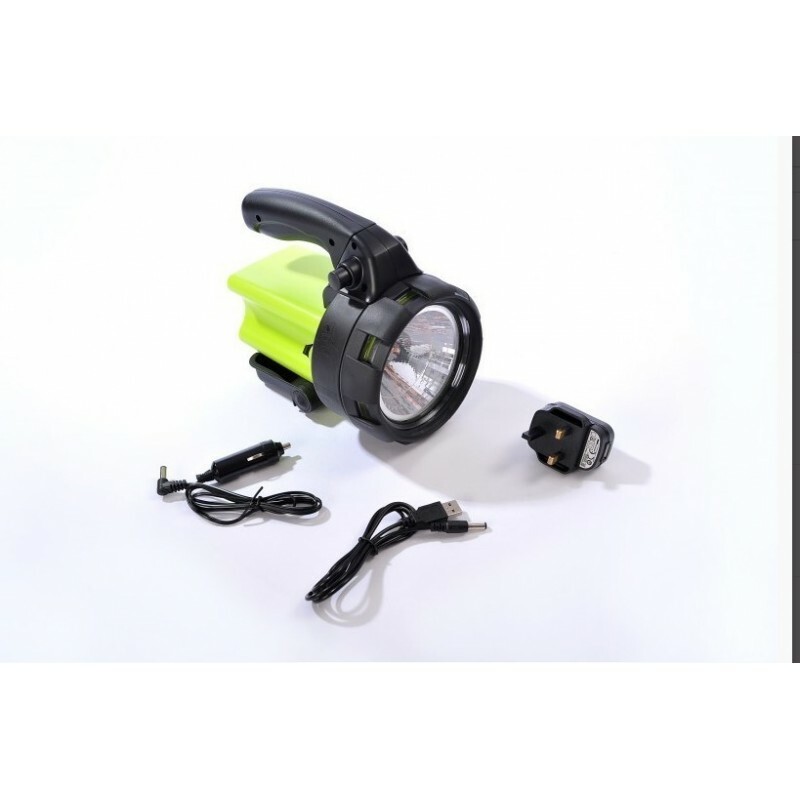 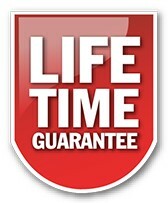 No need for batteries – equipped with sealed lead acid battery (reaches full charge in approximately 5 hours). 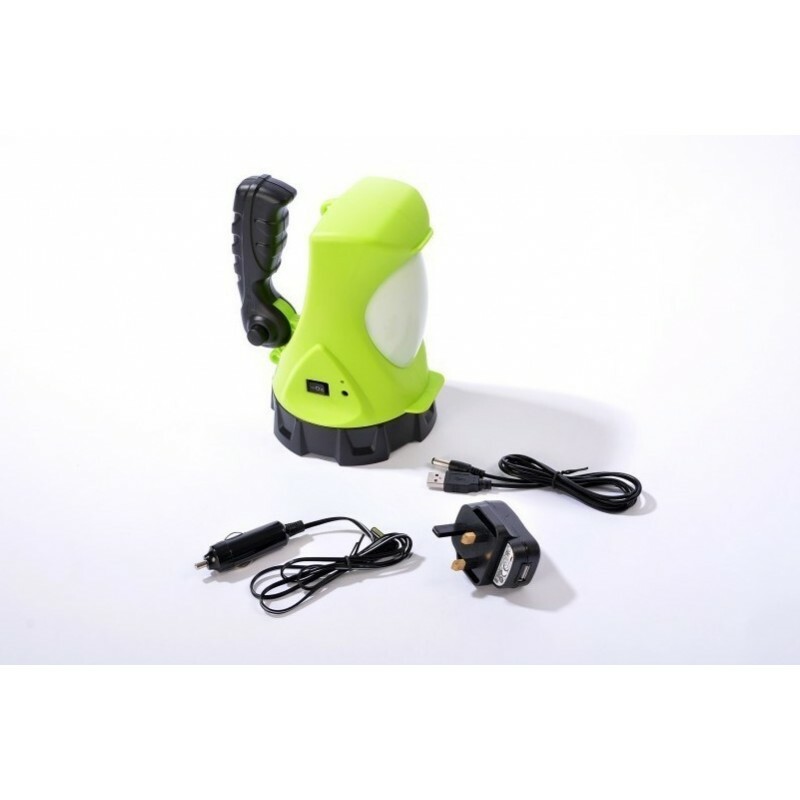 Rechargeable by AC/DC power adapter, 12V DC car charger and USB connector cable (all included). 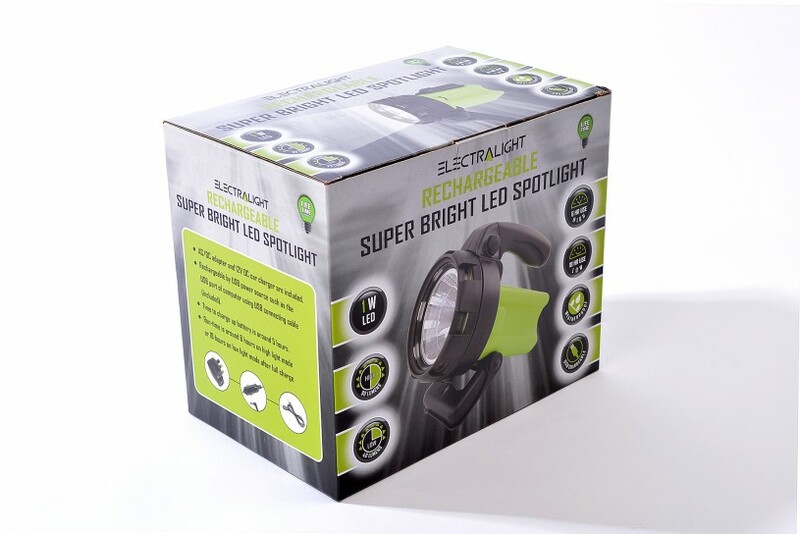 Run time is around 6 hours on high brightness setting and 18 hours on low brightness setting after a full charge.